Even though February Vacation is over, there are still fun things for the kids to do. Check out these great activities for the little ones in your lives. Bring the kids to this interactive improv show at the Warwick Museum of Art that will get everyone laughing. You can either yell out fantastic suggestions for the crew or get up and join in on the fun on stage! The show starts at 7 p.m.
Have fun with your kids and learn at the same time at the Providence Children&apos;s Museum. Explore energy and create circuits, construct a water wheel, design a green community and more. Snacks will also be provided, with free coffee (for the adults of course). Exhibits start at 6 p.m. 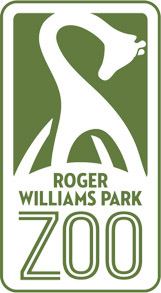 It doesn&apos;t have to be summer to enjoy the Roger Williams Park Zoo. Bring your kids down for half-priced admission to see snow leopards, moon bears and other cold-hardy animals in a snowy setting. And if the cold is too much for you, why not warm up in the Zoo&apos;s Tropical America building, R.I.&apos;s only indoor rainforest. The zoo is open from 10 a.m. - 4 p.m.
Join the Roger Williams Park Zoo and the very popular Rock-a-Baby band for a fun concert for the youngsters. This exciting 45-minute concert is specifically geared for ages 2 and up. There are two shows starting at 10:30 a.m. and 12 p.m. Warm up with some indoor fun at the Dunkin&apos; Donuts Center. Enjoy a fast-paced game of basketball as the PC Friars take on the Marquette Golden Eagles. Tipoff is at 3:30 p.m.